Daniel Cantor Yalowitz, Ed.D., is a cross-cultural, developmental psychologist who has facilitated programs, trainings, workshops, seminars, and academic courses in 88 countries. 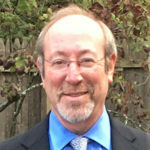 As former dean and vice provost for graduate studies at the School for International Training Graduate Institute in Brattleboro, Vt., and Washington, D.C., Dr. Yalowitz has held a range of senior administrative positions and has been a faculty member at a number of undergraduate and graduate institutions across New England. He is currently the founder and executive director of New England Educational Consultants and serves as a faculty member at the Intercultural Communications Institute in Portland, Ore. Daniel also serves as co-chair of the Higher and Secondary Education Board of Advisors for Peace Boat International and accompanies Peace Boat around the world as a Mizuna (instructor) for students and participants aboard the ship, focusing on intercultural and sustainability issues. His current research, writing, training, and consulting focuses on a range of topics, including diversity and inclusion, community- and team-building, conflict transformation, social justice, multiple, social, and emotional intelligences, interpersonal communications, the power of play, and, most recently, rebuilding toxic work environments. Daniel has also developed and instructed a curriculum focusing on, “A Call to Action: Training Active Bystanders.” He travels extensively to bring his customized programs to institutions and organizations worldwide and serves on several regional and national boards of directors of nonprofit organizations seeking to deepen their understanding and practice of social justice. Daniel’s professional work is enhanced by a trademark sense of humor and a love for people and building collegial relationships, teams, and organizations. He is an engaged community activist who is sought after as a guest speaker. Daniel is passionate about experiential learning and teaching and has trained dozens of higher education and special education faculty in this pedagogy. His second book, “Journeying with Your Archetypes: The Search for Deeper Meaning in Daily Life,” was published in November 2018. When not working or traveling, Daniel is very much at home in his garden, with his clarinet, and exploring the natural world through hiking, biking, and kayaking. He is in the process of developing a number of solo photography exhibits entitled, “I Wonder as I Wander,” for the Spring and Summer of 2019 and has developed a line of photo/poem greeting cards focusing on this subject.